Costa Mesa is located in Orange County, California. It is surrounded by Huntington Beach, Irvine and Newport Beach. Costa Mesa is located 37 miles south of Los Angeles and 88 miles north of San Diego. Costa Mesa encompasses 16 square miles. The southernmost border of the city is one mile from the Pacific Ocean. The population is approximately 110,000 people. The city was incorporated in 1953. The city began as a semi-rural farming town and has developed into a city with an economy based on retail, commerce and light manufacturing. In 1999, Costa Mesa adopted the city slogan “The City of the Arts.” Costa Mesa is home to the regional symphony orchestra, the South Coast Repertory Theater, the Orange County Performing Arts Center, Segersrom Concert Hall and the Samueli Theater. There are many real estate choices available in Costa Mesa. Let the Franco Team of real estate professionals guide you through the many neighborhoods and home choices that exist in Costa Mesa. 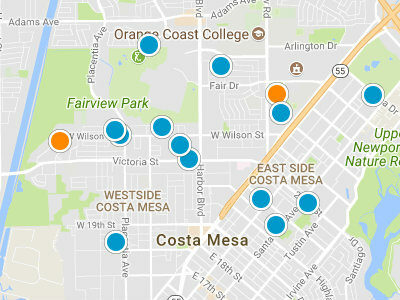 Costa Mesa is split into five sections: Mesa Verde, Southwest Casa Mesa, South Coast Metro, Central Costa Mesa and Eastside Coast Mesa. The home prices in Costa Mesa range from 250,000 dollars to 1.5 million dollars. Home values depend on views, locations, neighborhood amenities, lot size and home size. The views in Costa Mesa include Back Bay, bluffs and surrounding mountain views. 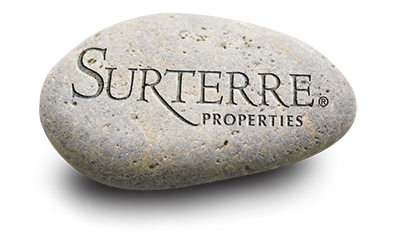 There many different neighborhoods to choose from, each offer different amenities, different home styles, different vibes; neighborhood examples are Pentridge Cove, Mesa Verde, Village Creek, Half Moon Lane and Mesa Bluffs. Students attend the award winning Newport-Mesa Unified School District. There are 22 elementary schools. There are two public middle schools; Tewinkle Middle School and Costa Mesa Middle School, which shares a campus with Costa Mesa High School. Costa Mesa has two regular public high schools; Costa Mesa High School and Estanica High School. Two alternative high schools share one campus in Costa Mesa; Back Bay High School and Monte Vista High School. A third alternative high school has its own campus; Coastline Early College High School. Costa Mesa is home to 23 private schools serving 3600 students. These schools include but are not limited to Christ Lutheran School, Grace Education, John Bunyan Academy, Kline School and Page Private School. There are many colleges located in Costa Mesa, as well. Costa Mesa is home to Orange Coast College, Coastline Community College, Vanguard University, National University and Whittier Law School. Costa Mesa has beautiful year round weather, making it the perfect location to enjoy the many outdoor activities available in the area. Costa Mesa has 28 community parks and two municipal golf courses. There is tennis available at the Costa Mesa Tennis Center. Fairview Park is a wildlife and nature preserve that hosts a summer concert series and summer time festivals. There are miles of trails throughout Costa Mesa for hiking, biking and horseback riding.